Viruses, such as the common cold virus, can only thrive when the environment within the body is “right”, in other words, when the immune system is weakened. The body’s natural defense system-the immune system-may be weakened by a number of factors including stress, poor diet, pre-existing illness or a poorly functioning digestive system. You may experience symptoms of a cold such as, fever and mucous; this is the body’s way of trying to clear out accumulated toxins. Whenever we catch a cold, our body is trying to tell us that we need to take more care of it, in whatever way we can. When treating a cold using herbs, boosting the immune system is a vital part of the approach. The goal is to create a healthier environment within the body so that you are better able to fight off infections. Onion Syrup is a great staple to turn to when you start to feel ‘under the weather’. Layer equal amounts of onion and sugar, starting with sugar, then a layer of onion, then a layer of sugar. Make sure you finish with a layer of sugar at the top. Seal the jar and leave overnight in a dark cupboard. Garlic infused in honey is an excellent antidote to the common cold. Garlic is anti-catarrhal, anti-viral and antibiotic and honey, particularly Manuka Honey, does more of the same. 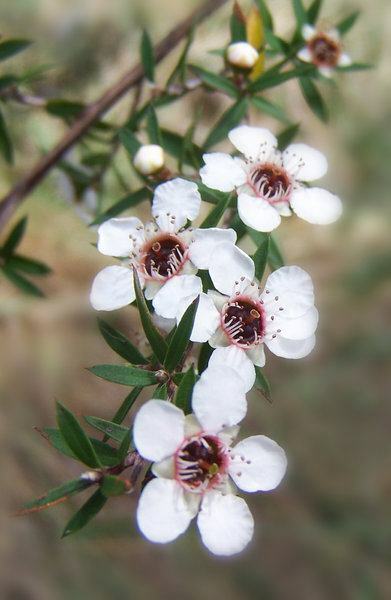 Not all Manuka plants are created equal. When buying Manuka Honey, look for one with a high UMF (Unique Manuka Factor), the higher the UMF, the greater the antibacterial potential. Chop up garlic cloves, put in a sealable glass jar and cover with honey. Leave in the cupboard and use as required. Horseradish is a herb used in the kitchen, but it also has excellent properties that help to treat colds, particularly upper respiratory tract infections. Horseradish is said to reduce fever and encourage the expulsion of mucus. You can make a horseradish tincture but be sure to grate it in a blender and don’t stand over it when you open the lid. *Asthmatics should be careful, because horseradish has been known to trigger asthmatic episodes if inhaled in a concentrated amount.